Yes, you did read that right! 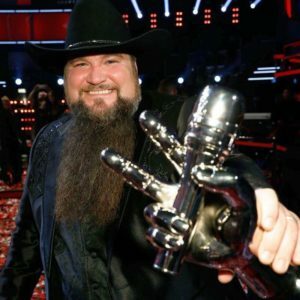 Sundance Head; winner of the Voice TV show is coming to Jefferson Texas. 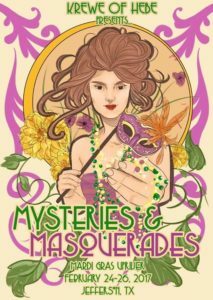 February 24 – 26, 2017 is the ever-popular Mardi Gras Upriver Festival in Jefferson Texas. With parades, street vendors, food and great music everywhere downtown. Everywhere you look you’ll see shops, restaurants and people all decked out in their best Mardi Gras decorations. Sundance Head will be the Grand Marshal in the Saturday Feb. 25 parade and Headline performer on the main stage starting about 3-3:30 pm depending on the length of the parade. 7:00p-10:00p Main Stage What the Funk? “Mic Night” with the Krewe Kick Off! Be sure to plan on arriving in town early for the parades. This entry was posted in Festivals, History, Mardi Gras Upriver, Music Festival, Spring Events, Weekend Getaways by Tammy D. Bookmark the permalink.